Are We Ready? Are We Prepared? Spiritual, educational and lay leaders of the community, parents of school children and synagogue members are invited to participate at a Panel Discussion at 11.45am on June 7th at Nessah Synagogue on Rexford Drive. The program is designed to raise awareness and open a community dialogue that will help build a plan of action on the subject of community and security preparedness. Urie Lieberman is Director of the West Coast Friends of Laniado Hospital and explained the unique nature of this first ever event, “To have such a discussion in the open is important. It gives the opportunity to raise awareness and open a community dialog and it’s a different mindset that is created when preparedness becomes a public matter. Of course, certain parts of these discussions are held discretely at our institutions, but the lesson we should learn from the recent violence against Jews in Europe, is that everyone needs to have a plan and an understanding of what they can do. Now, things don’t just happen, they are made to happen. Lieberman explained, “An interesting set of events has led us to organize this Disaster Preparedness Discussion,” After Lieberman returned from a trip to Israel in January 2015. He was determined to set plans back on track for preparing a Third Laniado Hospital Week in Los Angeles. A Board of Governors meeting was organized to decide on a new community project and the Circle of Persian Friends was to be inaugurated. 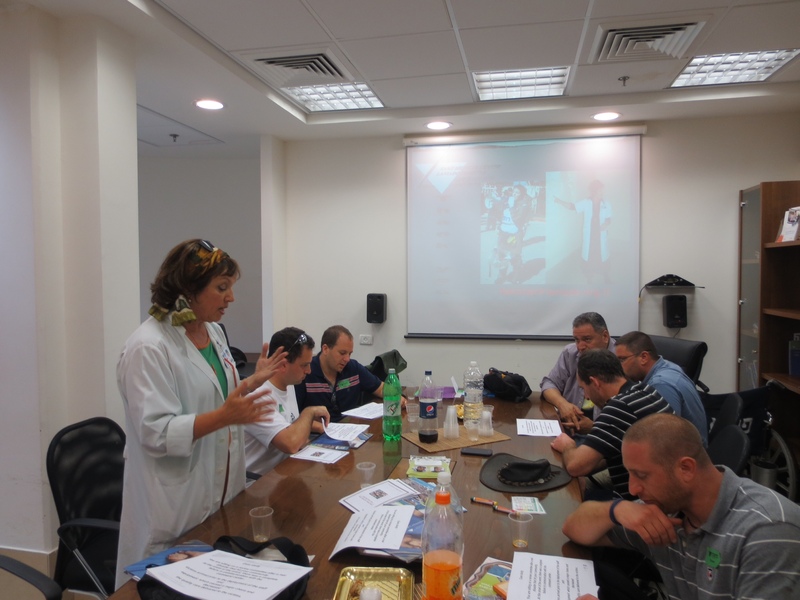 Lanxner was speaking from her longtime experience in handling and receiving terror victims as Coordinator of Disaster Preparedness since 1995 at Laniado Hospital in Israel; Lanxner is also Head Nurse in the Intensive Care Unit and was chosen by the Israel Security establishment to be part of a special training team preparing the Jewish European Leadership for Disaster Preparedness. Lanxner, under the unfortunate circumstances of the Intifada, has gained invaluable experience and First Responders come from all over the world to learn from her methods. 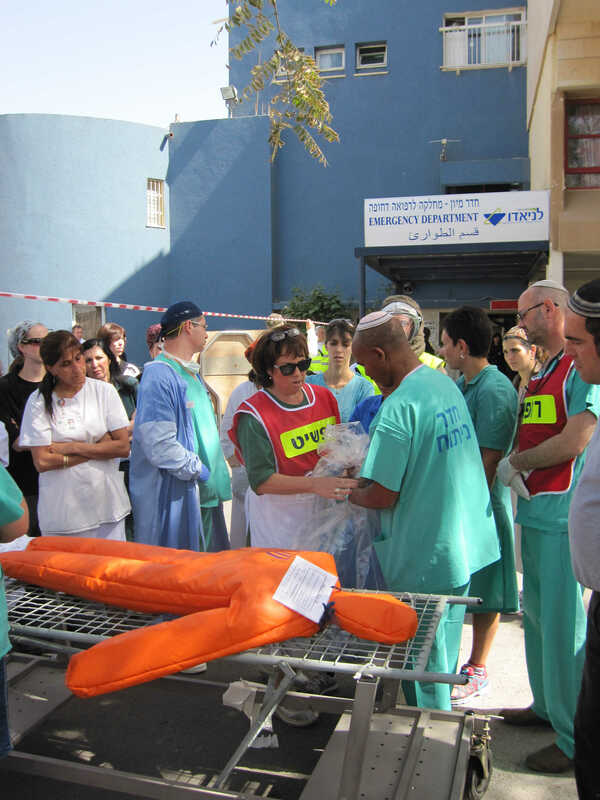 She stands out as one of Israel’s leading experts in the management of mass casualty events. Two years ago she visited Children’s Hospital in Los Angeles and shared with them her knowledge and experience in a joint disaster preparedness seminar built between Laniado Hospital and Children’s Hospital. Lieberman shared the email that he had received from her at the Governor’s meeting. They decided to adopt a new community project to be partner between Laniado Hospital and the Los Angeles community; to immediately help in the urgent construction of an Underground and Missile Safe Dialysis Center. Dr. Rami Sadeghi, one of the local doctors, told Urie, that Laniado Hospital has already visited the Los Angeles community and both times the doctors from Laniado Hospital had shared their disaster preparedness skills with other doctors and hospitals. In view of what recently happened in France, perhaps Laniado Hospital would consider opening such a discussion before the lay leaders and members of the community as a whole? He explained that he was with a group of people at a Shabbat meal when the host turned to his guests and asked, ”How many of you think that what happened there in France can take place here in Los Angeles.” There was not one person who didn’t think that such a tragedy could happen in Los Angeles and Dr. Sadeghi had the distinct feeling of helplessness from not being prepared, not being ready. This is how, with a sense of urgency, the Disaster Preparedness panel came together. Nessah Congregation are the host sponsor of the event and the wider community are invited to come and learn. The focus is on our responsibility and community preparedness. Lanaido Hospital is a unique place, conceived and built as a living memorial to the six million who perished. Rabbi Yehutiel Yehuda Halberstam Zt’l, known as the Grand Rabbi of Sands, or the Kausenberger Rabbi, was a holocaust survivor who lost his first wife and 11 children in the Shoah, and is the legacy founder of the hospital. The establishment of Laniado is the fulfillment of a vow he made after he was shot by the Germans during the infamous Death March from the Warsaw Ghetto to Dachau, that should he survive, he would build a hospital in Israel. He wanted to give the chance of life to others. The name Laniado came as a result of a trust fund set up by the Laniado brothers, who were bankers in Switzerland, who originated from Aleppo, Syria. They designated part of their funds for the building of a hospital in Israel. The Panel members are; Lydia Lanxner, Disaster Preparedness Coordinator of Laniado Hospital, Michael Downing, Deputy Chief LAPD, and Head of Counter-Terrorism and Special Operations Bureau, LAPD, and Ivan Wolkind, Chief Operating and Financial Officer and Chairman of the Ad Hoc Security Committee of the Jewish Federation of Los Angeles. Rabbi Abraham Cooper, Associate Dean of the Simon Wiesenthal Center is Chairman of the Panel Discussion. Yaki Lopez, Consul for Political Affairs, of the Israel Consulate, Los Angeles will deliver greetings. Urie Lieberman, Director of the West Coast Friends will make final remarks. Laniado Hospital is additionally working with West Coast medical students as the hospital offers its seventh year pre med program, sponsored by West Coast Friends of Laniado Hospital. Pre Med students who either study or live on the West Coast are eligible for the exclusive program and should contact Urie Lieberman.